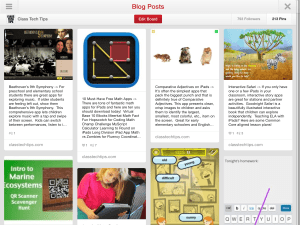 Pinterest is such a fantastic resource for teachers! Keep favorite blog posts in one place! Have you used their app for the iPad and iPhone? It’s an easy way to keep all of your pins organized and find great ideas on the go! This app is also available for Android devices.